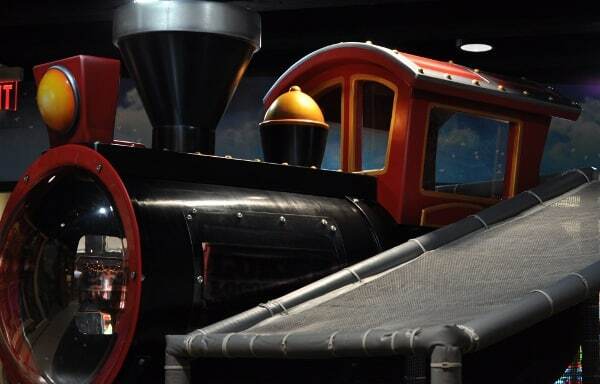 Home»All»Where to Find Trains in Houston… Playgrounds, Museums, Restaurants & Real Trains! 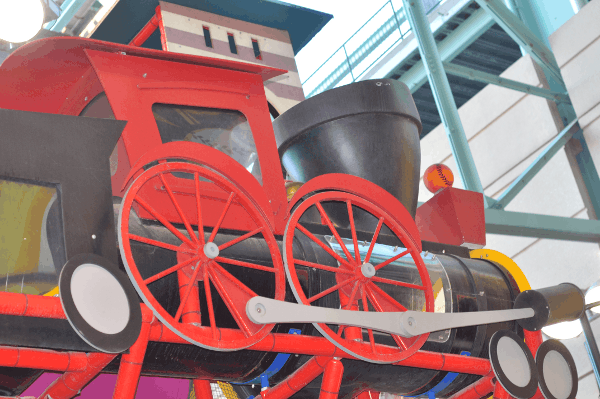 Where to Find Trains in Houston… Playgrounds, Museums, Restaurants & Real Trains! We love trains! Lucky for little engineers, there are a lot of places to see trains in Houston! Look below for Trains to Ride, Depots to Tour, Museums, Playgrounds with Train Play Structures, Restaurants with Trains and Even More Trains. Click the links for maps and details. If you have more to add to the list, let us know! 1. 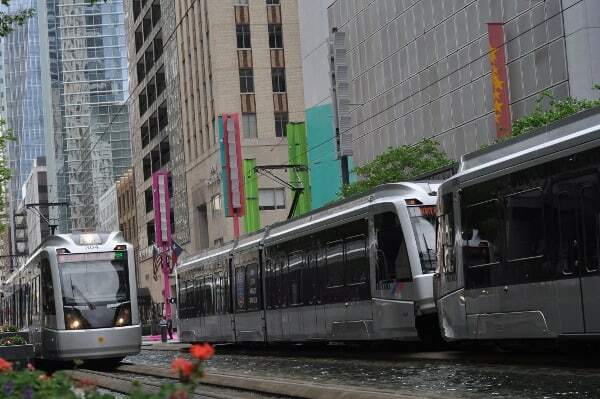 METRORail – One of Houston’s best adventures only costs $1.25 for people over 5… and it eliminates the stress of fighting traffic and the pain of circling and circling (while the kids grow more and more impatient) for a parking spot. See how to ride it HERE! 2. 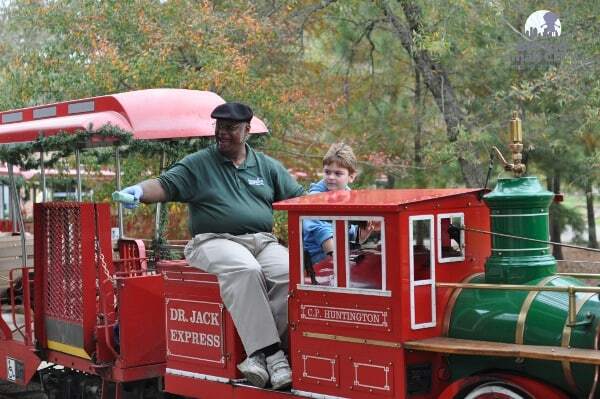 Hermann Park – Everyone can ride the train around the park… and you can even be an engineer for a day! 3. Houston Area Live Steamers (HALS) at Zube Park – Zube Park (pronounced: zoo-bee) in west Harris County, just north of Katy, is a 14 acre green space with all the amenities one would expect to find in a family-oriented recreational area and… a 1/8 scale Cypress Creek and Southern Railroad, operated by the Houston Area Live Steamers (HALS)! Check the website for operating days. 4. Downtown Aquarium Shark Train – This small train goes through a shark tank! 5. 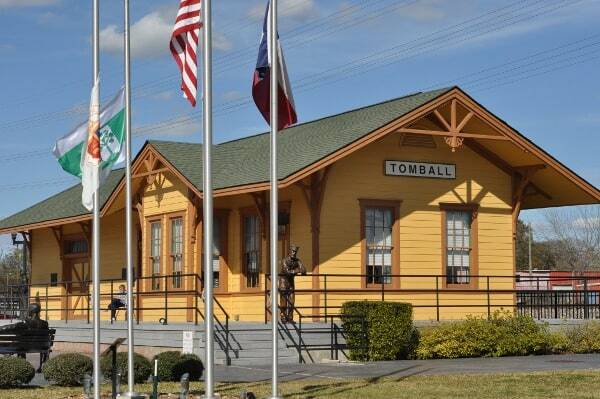 Tomball Train Depot – Play on a caboose, tour an old train depot, play at the park and cool off at the splashpad! 6. 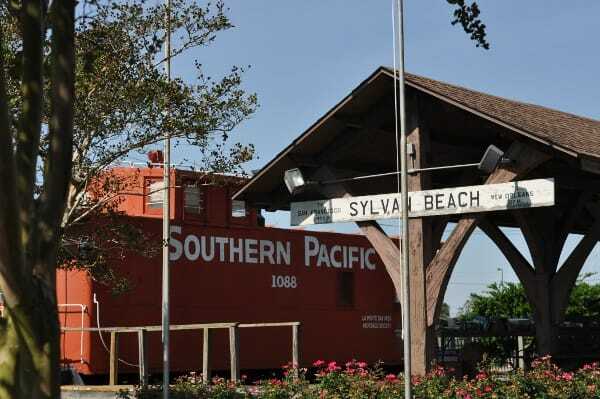 Sylvan Beach Depot – Right next to Sylvan Beach is the La Porte Heritage Society. 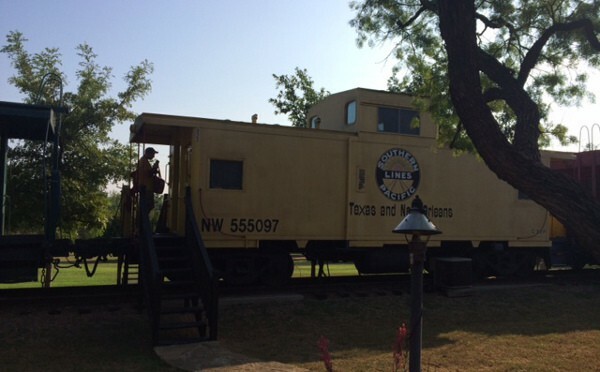 There is an old depot and caboose… and this caboose was furnished and open for us to tour! 7. Magnolia Train Depot – The Magnolia Historical Society manages and maintains the Historic Depot Complex. 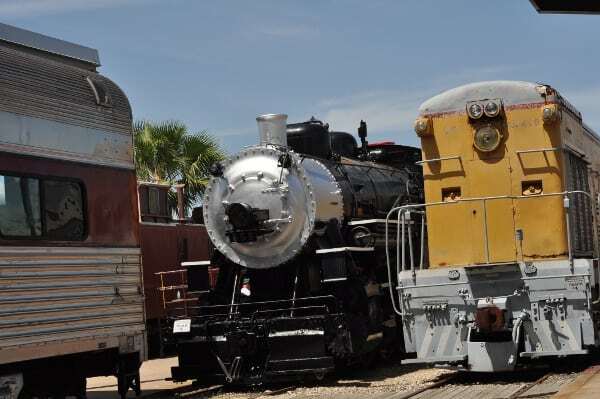 It includes the Magnolia Depot Museum, a historic doctor’s office and barbershop, an antique sawmill, the Houston Area Blacksmith Association facility and a Southern Pacific caboose. 8. 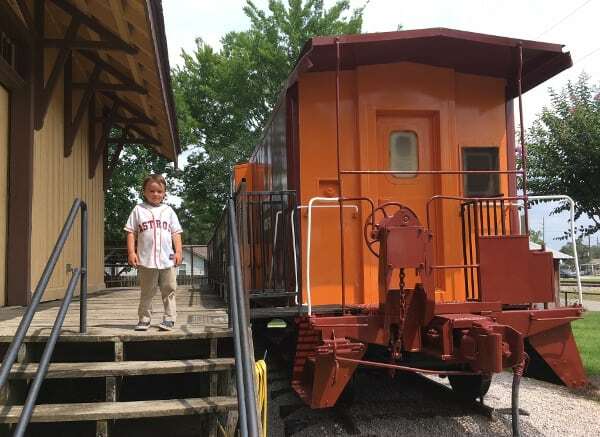 Alvin Depot Museum – We have not been, but parents tell us it’s good! 9. 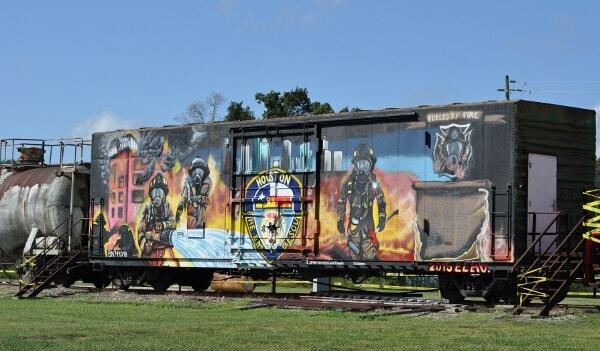 Rosenberg Railroad Museum – This museum is located about a 45 minute drive from downtown Houston and has been celebrating railroading in Fort Bend Country for over 160 years. Did you know that Rosenberg was (and still is) a hub for multiple rail lines?! 11. Galveston Railroad Museum – The museum is quite big with the old depot, lots and lots of restored trains, a model train building, concessions and more. Plus, if you time it right, you can ride the Harborside Express. 12. 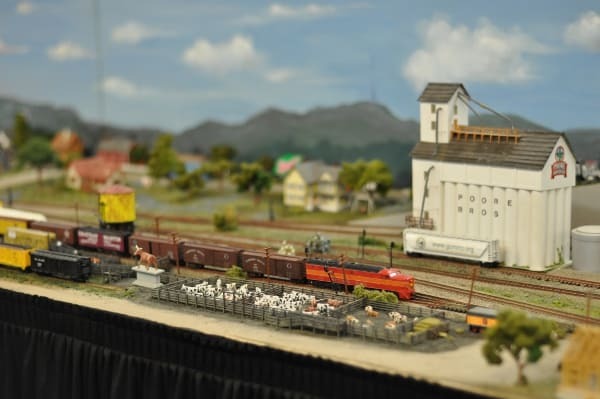 Texas City Museum – The Galveston County Model Railroad Club Exhibit is open on Saturdays. The detail is amazing, the scale of all the buildings is spot on and there is so much to observe in every single square foot of this display. I mean, at first you see the train, and then you see the houses, and then you see the kids actually swinging next to the house and then you notice that super man is flying over the city… and that is just a tiny part of it. 12. 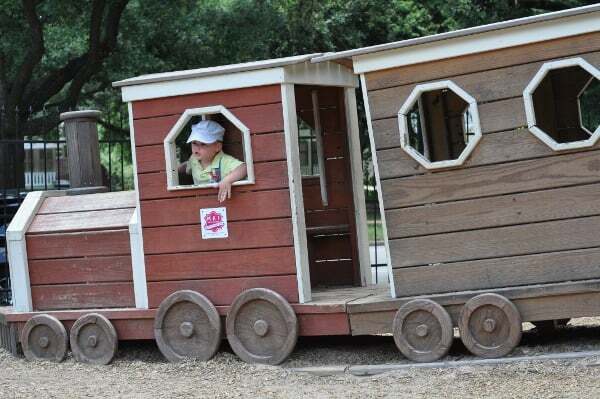 Donovan Park – This Heights park has an amazing wooden fortress… and a wooden train! 13. 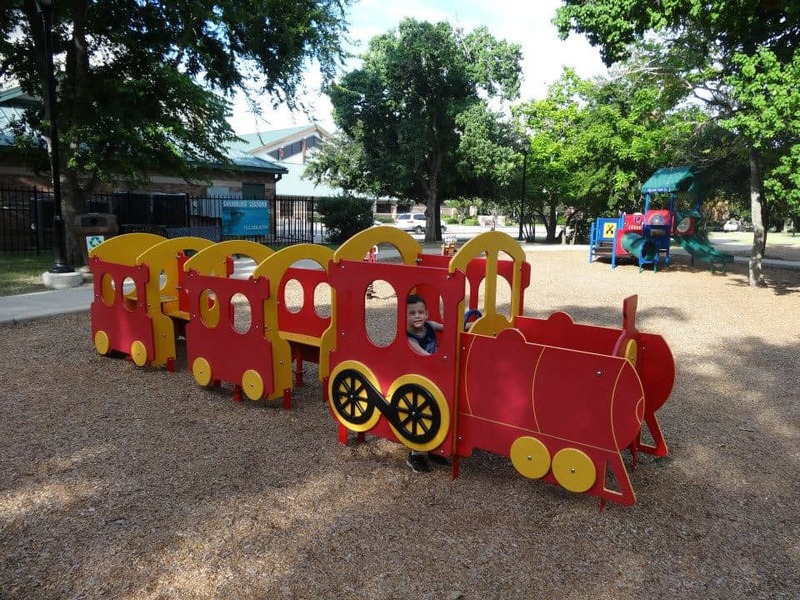 Bellaire Town Square – This park has a great playground and a great pool… and it includes this toddler sized train! 14. 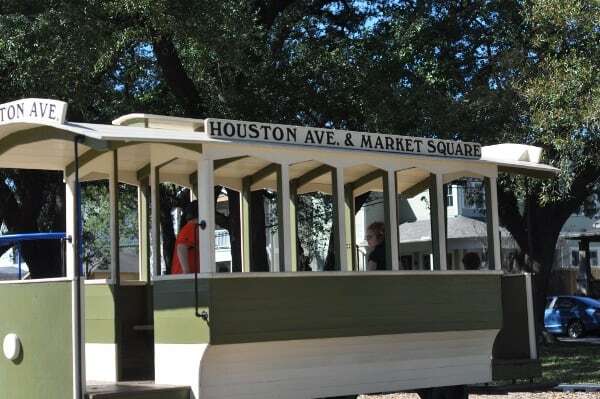 Woodland Park Street Car – Houston’s second ever park was on the Woodland Street Car Line. To increase weekend ridership, the Houston Electric Company build this grand park (originally Highland Park). Today it has a community center, playground, basketball court, tennis court, sports field… and a streetcar! 15. Main Street Indoor Park – This is part of the First Methodist Downtown Campus and is open to the public, Tuesday through Thursday mornings. It’s a small indoor playground and is designed for kids 5 and under. 16. Minute Maid Park Squeeze – Right next to section 132 in Minute Maid Park, on ground level, is Minute Maid Squeeze Play where kids can go wild. The play structure is a replica of the stadium and full of tubes, platforms and has a Minute Maid train. 17. 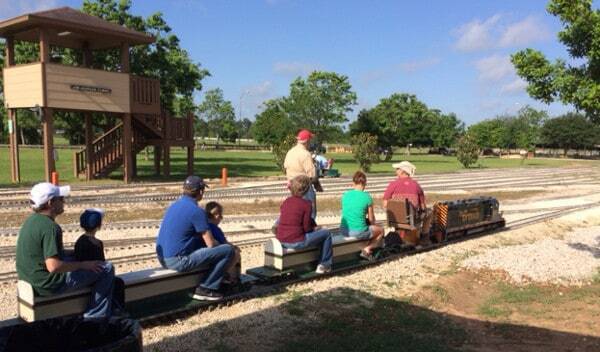 Spring Creek Park – This Tomball Park has just about everything you could ever want in a park… including a train play structure! 18. Katy Play Station – “Train Park” is the state’s largest innovative playground for multiple-impaired and profoundly deaf children. 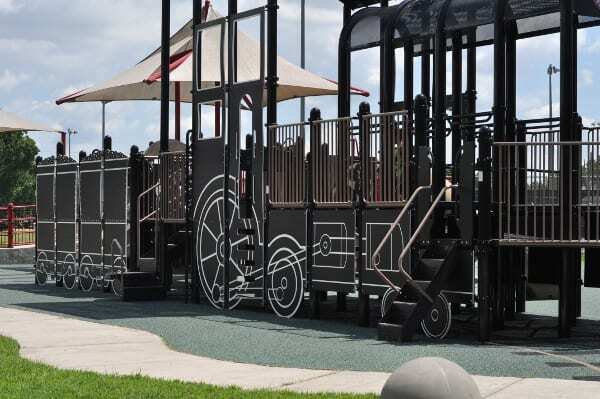 The playground is designed to feature Katy’s name sake the MKT Rail line and includes ramps and swings for kids of all abilities. 19. 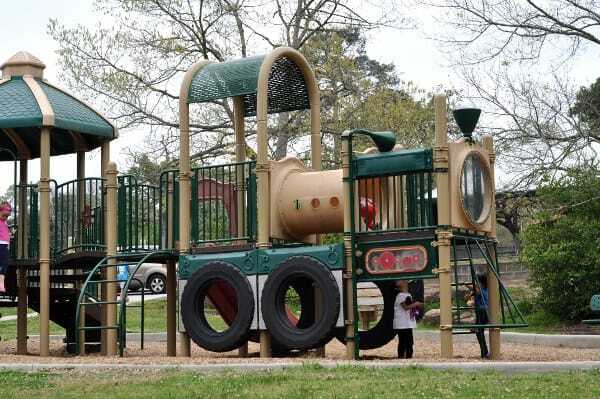 Noble Park – This Texas City park has a a big train playground, a small train playground, depot, train tracks, basketball court and lots of room to run! 20. 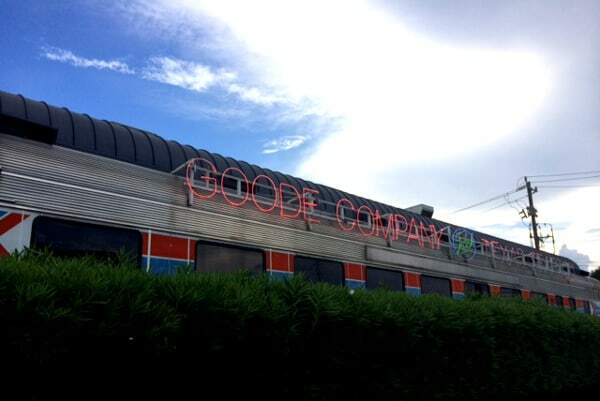 Goode Company Seafood – Eat in a train car! 21. 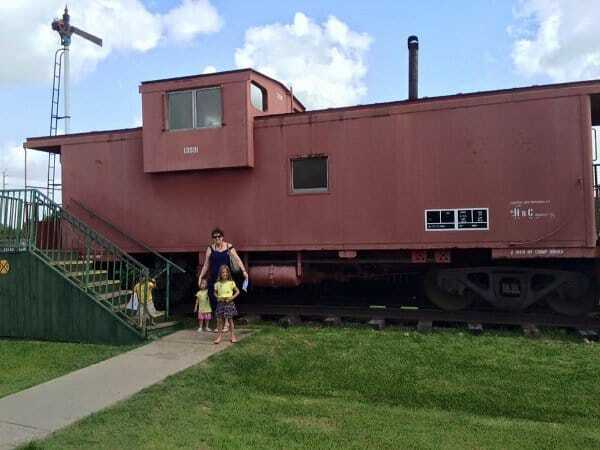 The Loose Caboose – In Old Town Spring, order lunch in the caboose and eat at the picnic tables! 22. Val Jehnke Fire Department Training Facility – Okay, okay, you cannot go everyday… but at Firefest each October, go see this awesome mural. 23. 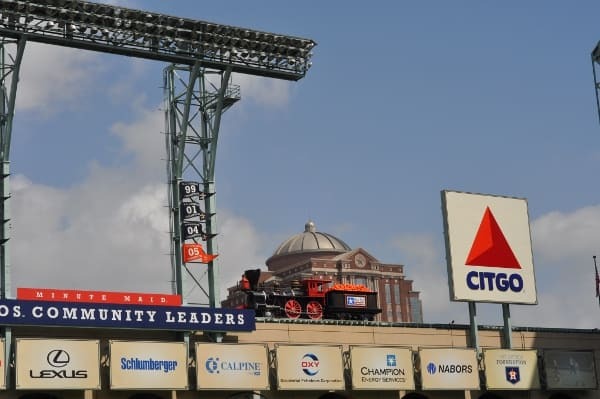 Minute Main Park – This ballpark is at the old Union Station and the train runs along about 800 feet, along the low roof track on the west side of the park, with each home run! 24. 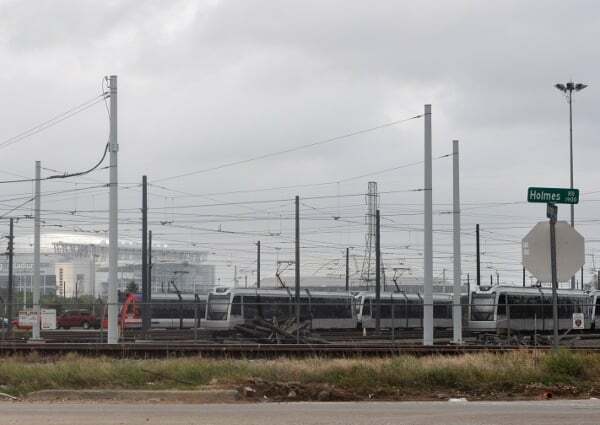 Houston Metro Light Rail Operations Facility – This isn’t really a tourist attraction, but for those that are really train crazy, this is where you see a whole lot of parked trains. 25. The Antlers – This one isn’t in Houston… it’s in Kingsland, west of Austin just north of Marble Falls… but you can sleep in a caboose! 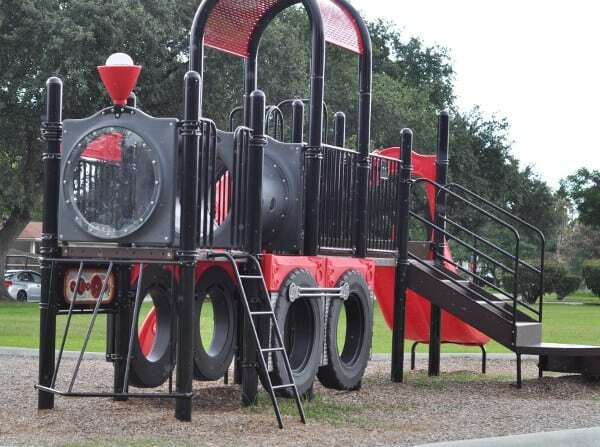 There’s also a train themed playground in Noble park, Texas city. They used to have a real old locomotive “parked” there but it was moved to Galveston railroad museum recently for repair, so I’ve heard. Also Texas city has an amazing model train room in their city museum, open on Saturdays and for special occasions. Huge space, very interesting layouts! Thank you! We can’t wait to see them! This is quite a list! Thank you for all of the hard work and research for our little train lovers!